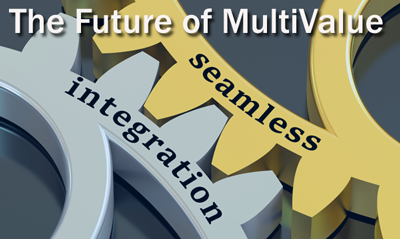 The question is: what are the features, capabilities, and integrations that will be important for MultiValue customers and help to expand MultiValue’s role in increasingly demanding data environments? Database Trends and Applications looks to key MultiValue solution providers to answer this question in their annual MultiValue report. Kore's Keith Lambert (vice-president, marketing and business development) participated and shared his thoughts on how MultiValue systems can stay relevant in the future. Because real-time application integration is now an important part of the IT landscape, MultiValue applications need to fully embrace this paradigm. It will be important for software vendors to provide open RESTful Web service APIs for their solutions so they will be able to integrate with the increasing number of best-in-class cloud-based, mobile, and niche applications. You can read his full article here. Enjoy! With the increased availability of APIs and the ubiquitous adoption of REST, applications can begin to work more seamlessly with each other.